Watching a movie outside under the stars or a football game on the big screen on your back patio while barbecuing takes “watching TV” to a whole new level. 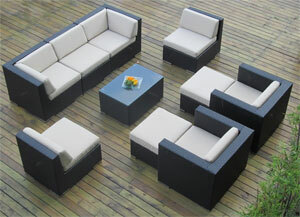 It turns an ordinary activity into a special event and is awesome for entertaining friends. 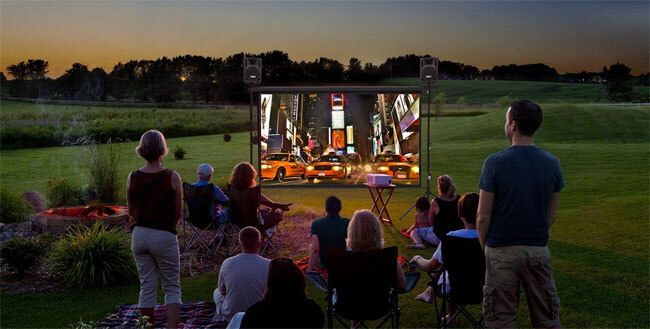 Some people create an outdoor home theater with a moveable projector and giant movie screen. You can also get a weatherproof TV and set it up on your deck or patio underneath a roof overhang (Now you can still enjoy the outdoors even on a rainy day!). 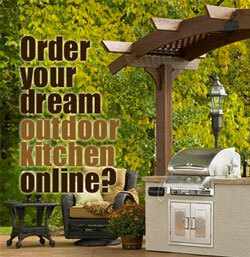 When installing a television outside, make sure that you get a model designed for the outdoors. The mount and cable will also need to be rated for the outdoors. Bigger may provide better viewing for more people, but just make sure that the location can support the weight and that the back of the TV can be easily accessed in case it requires maintenance. 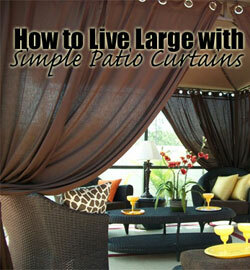 Ideally, we want to choose a spot where the screen doesn’t get direct sunlight and gets minimal weather exposure. Along the wall of a house or in a darker protected corner and elevated up underneath an overhang can often provide better viewing and more shelter. 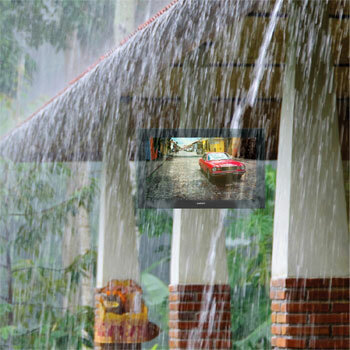 Sunbrite is known for making great quality outdoor televisions, and you can find them at Amazon.com with free shipping. 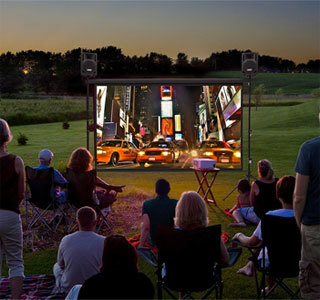 If you want to set up a giant movie screen in your backyard, I think it’s easier to get an all-in-one package that includes the projector, screen, stands, speakers, cables, etc… This way, you get everything you need, and you aren’t stuck trying to figure out if all equipment works with each other. Backyard Theater Systems makes an outdoor movie setup that has all the equipment needed, including an Optoma projector (excellent brand), high-tech WIFI Bluray player and SAVI speakers (It even comes with a remote control). Then, just connect it to a device like an iPhone, iPod, iPad, PS3, Xbox or Wii.